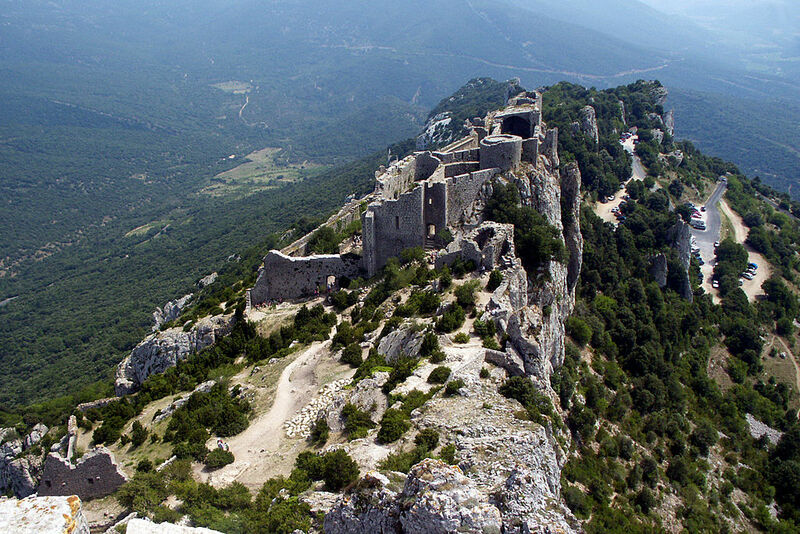 If you stay at the hotel a week, we invite you to spend a day exploring the Cathar Country. 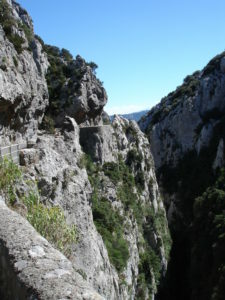 To access this mountainous region of the Aude department, count 1h15 drive (66 kms). 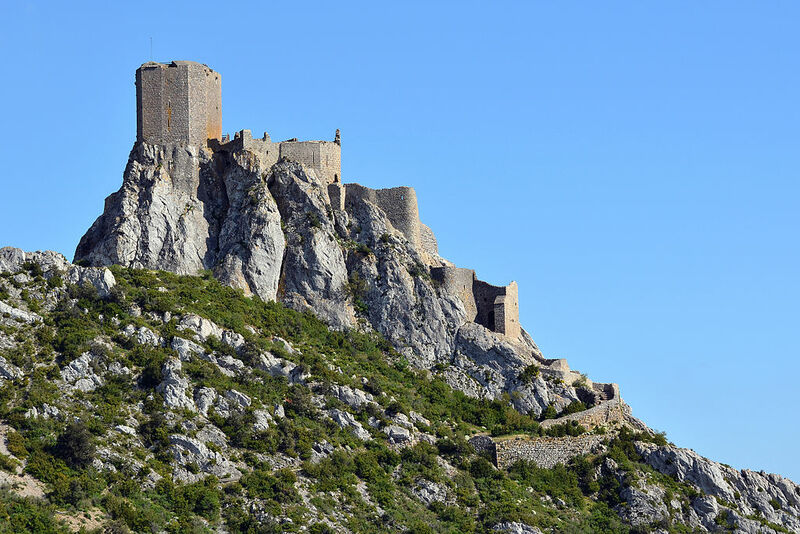 It’s a bit far from the hotel but the view of the castles of Quéribus and Peyrepertuse perched at the top of stunning rocky peaks is unforgettable. Warning: this trip is to avoid during windy days as these two castles are particularly exposed to the wind. To get there, leave the hotel by the left, at the first roundabout, take the D914 towards Perpignan that you bypass from the south, then the D900 and N116 to Prades. Take the exit Corneilla La Riviere and continue driving on the D612 towards Estagel and Maury (D117). Then follow the indication Quéribus Castle (D9) . From the car park , 10 minutes walk on a steep path are needed to access this Eagle nest that was the last refuge of the Cathars. Magnificent view over the plain of Roussillon, the Mediterranean, the Alberes, the Canigou and the Castle of Peyreperthuse. 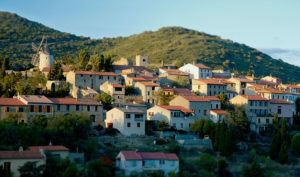 Continue to the village of Cucugnan dominated by a beautiful and restored mill and known for his pastor ‘s sermon adapted by Alphonse Daudet. For lunch, we recommend that you book a restaurant. Take the road to theparticularly beautiful and majestic Peyreperthuse castle.. A15-20 minutes walk on a steep path will allow you to access this castle which stretches 300 meters in length. After this visit, two options are available to you : come back at the hotel or continue to the “Gorges de Galamus”. Please note we do not recommend these “gorges” in July-August and during long weekends. Indeed , the road is particularly narrow and does not allow to cross by car except at a few places. This results traffic jams in summer . 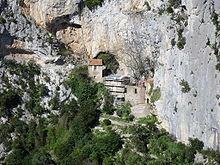 If you want to make a small step, just before the exit of the gorges , you can leave your car in the car park of the Hermitage St Anthony of Galamus . In 15 minutes you will reach this hermitage clinging to the rock wall and will be able to stretch your legs before heading back to the hotel via St-Paul de Fenouillèdes. 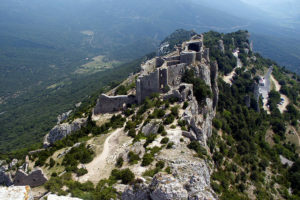 A few words about the Cathars : founded in 1167 by Nicetas, the Bishop of Constantinople, the name Catharism comes from the Greek Katharos ( “pure “). Linked with Catholicism but denying the divinity of Christ and refusing traditional rites (baptism and marriage), the Cathar church is led by four bishops in Albi, Toulouse, Carcassonne and Agen. Because of its growing influence in the area, a crusade is initiated and conducted by Louis VIII . The war ends in 1255 with the fall of the bastion of Quéribus whose construction date is prior to this period of history.